True perfection in the West End. 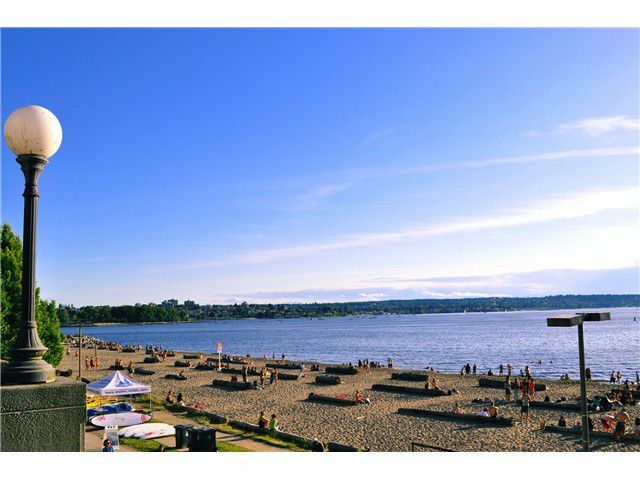 This lovely 1 bed, 2 bath home has been nicely renovated in the past few years and sits in a well maintained and rain screened building right in the Heart of the West End only steps to English Bay. As youenter the home you'll notice a lovely kitchen with s/s appliances and new counters, a dining area perfect for entertaining, and a large lvrm rm with gas f/p and access to a 103sqft sw facing balcony looking out to Alexandra park and English Bay. This balcony is also accessed from the bdrm which is large enough for a king bed, has ample closet space and an ensuite bathroom with separate tub and shower. Another 1/2 bath and loads of storage makes this is a "must see".